Some fans were stirred to action after Roger Clemens was named in the Mitchell Report last week and they sent their photoshopped Rocket images to Boston Dirt Dogs. 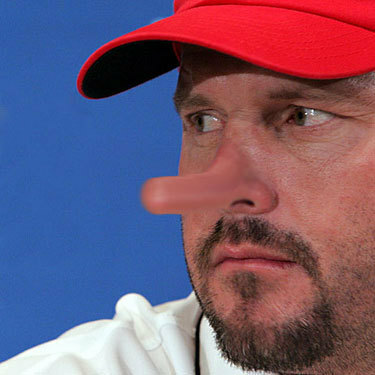 Here, Amy Wasylyk is convinced that Roger Clemens isn't telling the truth when it comes to his recent denial of the report findings, which included allegations that Clemens used performance-enhancing drugs. Dan Shaughnessy Is he in a state of denial?